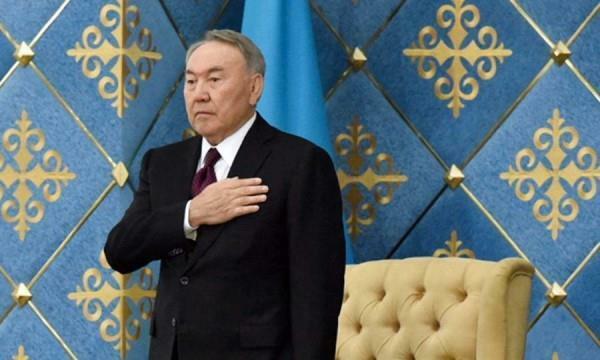 (MENAFN - Asia Times) The step-down by Nursultan Nazarbayev, the long-standing ruler of Kazakhstan took the world by surprise, but the strongman is hardly giving up the reigns of power. President Nazarbayev, the only leader that independent Kazakhstan, the world's 9th largest country has ever known, announced his resignation on March 19, following protests in cities nationwide. Perhaps. But successor Kassym-Jomart Tokayev's obeisance to his master was visible in his first major policy move: He will rename the country's capital, Astana, after his mentor. Nazarbayev had spent three decades in power, and as the last of Central Asia's former Communist Party bosses, was the definition of a "strongman" leader. After the Soviet Union's dissolution, Kazakhstan, which borders both Russia and China, was an unstable, chaotic state the size of Western Europe. Its population is ethnically divided – ethnic Russians in the north, Kazakhs in the south, plus dozens of other nationalities. It boasted billions of barrels of oil and natural gas reserves but was also home to abandoned biological and chemical weapons factories, and nuclear-armed intercontinental ballistic missiles. But his tendencies were hardly democratic. Every time he 'ran' for president, his "vote" increased – exceeding 97% in 2015. Foreign observers never recognized the results, but the rubber-stamp parliament and obedient media praised the 'newly-elected' leader. It remains to be seen whether his successor can stick to 'the path of stability' that Nazarbayev is credited for. But it seems near certain – because Nazarbayev is not going away in any shape or form. And he is bulletproof. A 2010 law established Nazarbayev's unique status as Yelbasy, 'Leader of the Nation' and honored him with the title Halyq Qaharmany, 'Hero of the People.' He enjoys lifetime immunity from criminal prosecution, and the secrecy and inviolability of his assets and wealth are guaranteed. On March 20, one day after Nazarbayev's announcement, former Prime Minister Tokayev was sworn in as the interim president. A long-standing colleague of Nazarbayev, Tokayev was chairman of the Senate and says he will continue his mentor's policies. With another key Russian satellite, Ukraine, spinning out of Moscow's orbit, the Kremlin is watching developments closely. The sudden resignation appeared to weigh on the Russian ruble, and Putin called Nazarbayev the same night. But Moscow, while wary, has good grounds for assuming Russia and Kazakhstan will remain buddy buddy. Kazakhstan is also expected to continue close ties Beijing. China buys 25% of Kazakhstan's oil output, and transcontinental Kazakhstan is critical for China's Belt and Road Initiative: Astana was historically a key hub on the Silk Road, and Kazakhstan is where the BRI was first announced by Chinese President Xi Jinping in 2013. Even so, a new era has dawned in Kazakhstan. Just as Boris Yeltsin resigned as Russian president on Dec. 31, 1999, to make way for Putin, so Nazarbayev's resignation came two days before Kazakhstan celebrated its New Year holiday. But why did Nazarbayev decide to depart? Experts in Russia and Kazakhstan believe it's more about his not-so-subtle succession plan than his advanced age – 78. If all goes according to plan, Nazarbayev's maneuver could present the current occupation of the Kremlin with a model, too. The move '… is likely to be used in due course in Russia by Vladimir Putin,' said Trenin.